Hi! I've just bought my phone and I don't like the easy writing on messages. does anybody know how to change it? srisan, 13 Jan 2011any x8 user tell me GPRS Up to 85.6 kbps how is this speedGPRS is a basic 2G packet data transfer service. Speed of 85.6kbps is maximum downlink speed in case of four timeslots are occupied. That speed can be seen when a good radio conditions are present. Detailed info can be found in http://www.3gpp.org/ site. hi guys. i am not able to use edge through x8 pls help. HEY! it is a nice phone but it has a small touch screen which is a draw back . Secondly less battery back up . Thirdly low wifi connection. please buy Galaxy3 which is cheaper and better than it. I bought this because of better sensors and speakers . It has better looks than any android of this range according 2 me . Morover camera is better than Galaxy3 + screen resolution is better . It's ram is less than Galaxy3 and it's memory is less expandable 32gb for galaxy3 and 16gb for X8 . BUT BUT I like my phone . hi does anyone knows why when i use a pen(for the touch screen), which for example is ok for 845vodafone..does not work with x8? does it only need its trade pen? 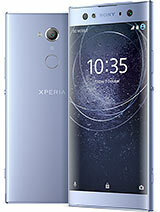 i want to purchase a phone , but i am very confuse between optimus one and xperia X8. plz suggest me which is better of them. i want good performance phone. I want to buy an xperia x8 mob,but somebody told i can't use this mob for net voip calls like nymgo,rynga,actino voip..etc,is it true?and they says,sony ericsson mob will not support to download call voip software,but nokia can,,i wnt to know the reality..I'm waiting for ur reply.....thank you. Sophie, 12 Jan 2011Does this X8 phone have an LED flash light for the camera? and can it edit photos? I think I l... moreNo LED flash and no editing software. Sorry!